More than 10,000 users in the US and Europe are using the CozZo app, to remind themselves of the expiry dates of the products in their fridge. Did you know that 1.3 billion tons of all food in the world is lost every year while 795 million people are starving? In the EU alone, 88 million tons of food goes to the landfills each year, or over 20% of the total edible food produced. The offenders along the chain are the farmers, the retail chains, the restaurants, but most of all the households, which account for over 50% of the total share of discarded food. The digital world comes to our rescue with applications that help us rationalize our food purchases. 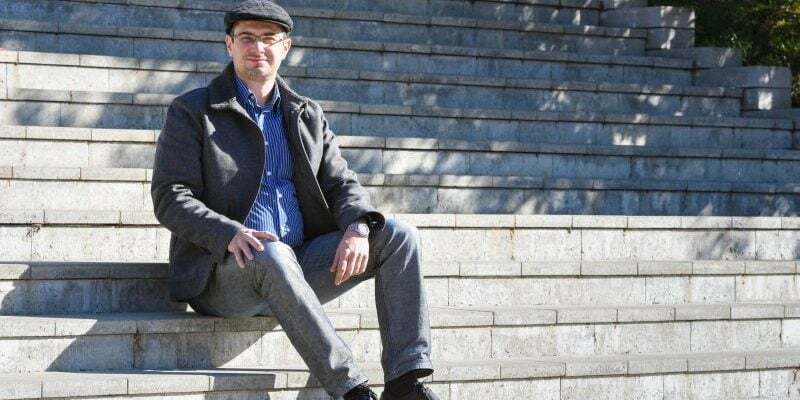 There are already several apps out there, but the interesting news is that there is also a Bulgarian solution among them – CozZo, developed by the entrepreneur Ivo Dimitrov. Unlike the other apps, it’s not just a digital shopping list, but also a digital fridge and pantry catalog that alerts you about the expiry time of the food you have at home. In less than a year, the app has been downloaded over 10,000 times in the UK, the Netherlands, the US, Ireland, Bulgaria and a number of other countries. Ivo Dimitrov, from Sofia, is a software engineer who has had a soft spot for exact sciences ever since he was a kid. In 1999 he graduated from the Sofia Technical University and immediately heads into the direction of software development. His first career steps start was the creation of the websites for Standart and Seven Day Sports. Next are several websites for the US market and information processing software for global agencies. Then, some years later comes his first career shift when Ivo moves from media to the oil business, where he worked on developing software that shows real-time what is going on the drilling platform. “In order to be able to work on software solutions for analyzing oil and gas extraction, I first had to read a 600-page book on the specifics of these activities. So, depending on the nature of the business solution, the concept of the software can take 3 days or 3 months, until you grasp how to do it, ” says Dimitrov. The steep shift in the direction of food comes after a nearly five-year unsuccessful battle of trying to run his household shopping smoothly and attempting to avoid situations where someone buys a product that is already in the fridge, or no one buys a product that is vital for tonight’s cooking. But worst of all was when Ivo kept discovering expired food in the fridge that had to be binned. At the end of 2015, he made a three-month experiment by writing down the items that were thrown away and their respective price. He found that his household was losing between 60 and 80 BGN each month in discarded foods because it was forgotten and was not used in time. It became obvious that this problem in similar proportions was occurring many households around the planet, a finding that was confirmed by international research. A 2016 study among households in the UK and the Netherlands outlined the severity of the problem. “Until then, it was considered that food was mainly thrown out by farmers who failed to sell it because of beauty standards. The second offenders were outlined as the retail chains, restaurants, catering survives and similar. Yet the data from the UK and the Netherlands, as well as from other European countries, have indicated that the ultimate waste happens on household level, accounting for more than 50% of total food loss, “says Ivo. The good news is that every year the proportion of businesses that waste food is decreasing. For example, instead of discarding non-standard fruits and vegetables, farmers sell them off to juice producers or to producers of frozen vegetables. One of the major hypermarket chains in France made a campaign to convince consumers that curvy carrots have the same taste as their more beautiful counterparts. In fact, France is the absolute leader in the fight against food waste in the EU. There have introduced fines to supermarkets that don’t donate food that expires within days. The effect on the socially disadvantaged is double – they receive not only free food but also food that is diverse, fresh and with higher nutritional value than the canned food that was the only nutrition that used to be donated to food banks.. Naturally, as the problem receives higher and higher attention, technological interventions emerge in an attempt to minimize the problem. Among the most popular applications are digital shopping lists that are already used by millions of people. They minimize the risk of household members doubling on the same purchase. The list also protects against shopping distractions and avoiding random purchases of unplanned goods. But that is not all. “In order to really be precise in the store, you need to know what you already have at home,” says Ivo. You need to know which food in the refrigerator is about to expire and needs to be cooked with priority. For example, if it’s chicken and you need to make a chicken risotto, but you see that you do not have rice at home, you just add rice to the shopping list. “Unlike many others, our application provides answers to these questions,” says Ivo. CozZo builds on the digital list by expanding to a digital refrigerator and a digital pantry. All the groceries that the family has bought are checked off in a list. Unlike other applications, Ivo has a precise system for monitoring expiry dates. The algorithm is activated the moment you enter your bought food. “From the very beginning, we realized that people do not have time to enter expiry dates in the store. But even if they did, this would cause additional problems because there is a lot of confusion with the printed dates on the packages. In the US, for example, there are “Best by”, “best before”, “Consume before”. 90% of Americans are confused by these dates,” says Dimitrov. To avoid this problem a catalogue of 1500 basic products was introduced, suggesting optimal storage places and expiry dates determined with the help of a professional chef. In addition, if the food is purchased close to its expiry date, there is an option to manually enter a date at the discretion of the user. CozZo also allows you to check off the products that you have consumed so that they are automatically returned to the shopping list. The name of the application also implies it main benefits – the double “Z” (zero) promises zero food waste, zero shopping troubles. 2017 appears a whole eternity to Ivo. The project lags behind for lack of financing. This year, Dimitrov and his partner, the developer, Yuri Shubin, released the first version of the product and began looking for funding. The business model of the app includes a free initial product that does not generate sales. The same year, his partner quits the project. After a series of presentations of the app to the business angels club, earlier this year, Dimitrov was able to secure funding from the investment company Odessio, which is invested in green technology. It provided support for the application of 100,000 EUR. This enabled the project team to grow and as of today, there are 11 people on board. CozZo will remain free for individual users. To date, the app has already been downloaded over 10,000 times by customers in 20 countries, mostly from the United States, the United Kingdom, the Netherlands. The most active are the US consumers. “There the problem is even more severe. The American consumers shop in large quantities, once every two weeks, always the same things, regardless of how much they have left at home. For them, our application will save even more money and food, “says Ivo Dimitrov. His team is also negotiating white-labeling of the app to retail chains. “Chains have realized that in order to win consumer loyalty, they can offer them much more than just promotions, discounts, coupons and sticker albums. The next step for them is to offer the consumers assistant for rational food use. We are negotiating with a chain in the UK and one in Switzerland who have reached the point of offering such an addition. Undoubtley, their customers will be happy,” says Ivo Dimitrov.